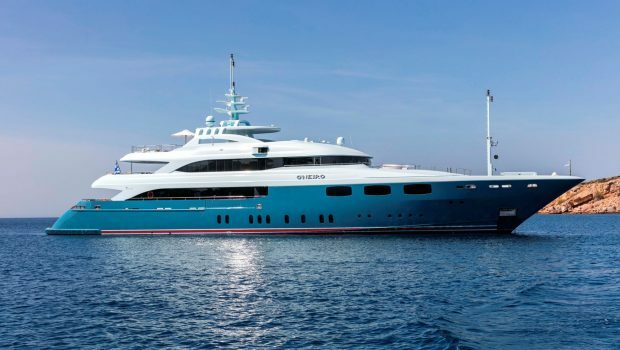 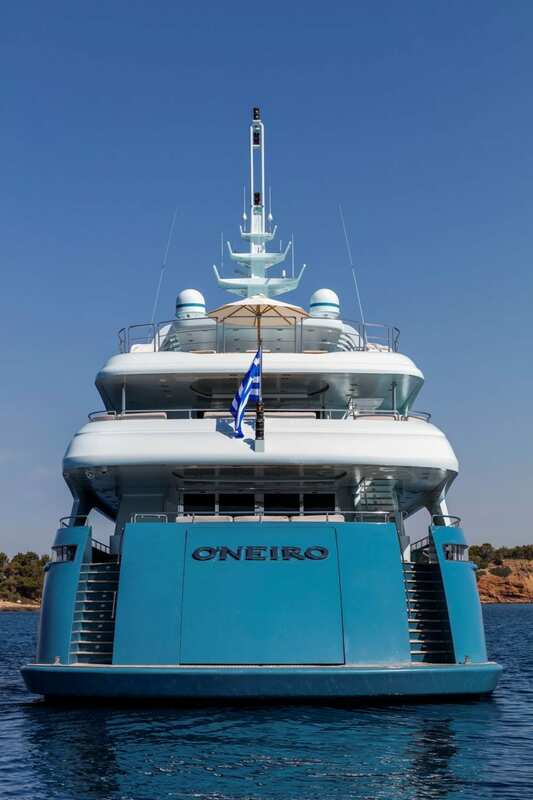 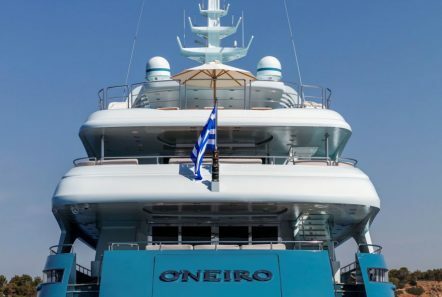 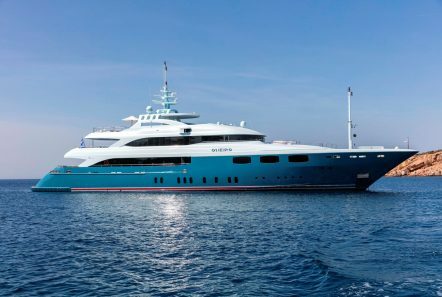 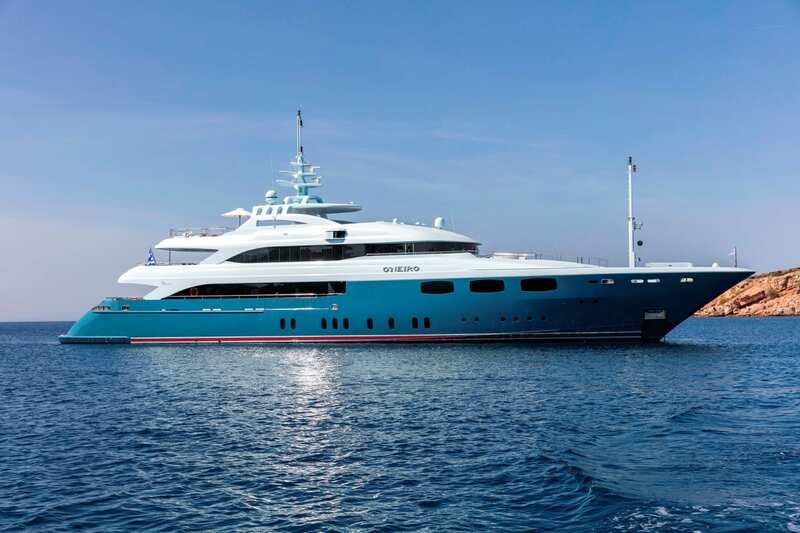 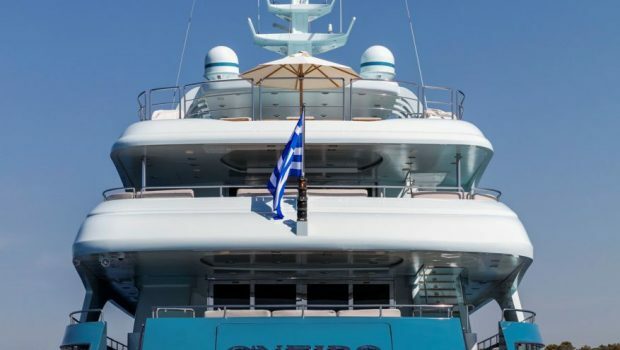 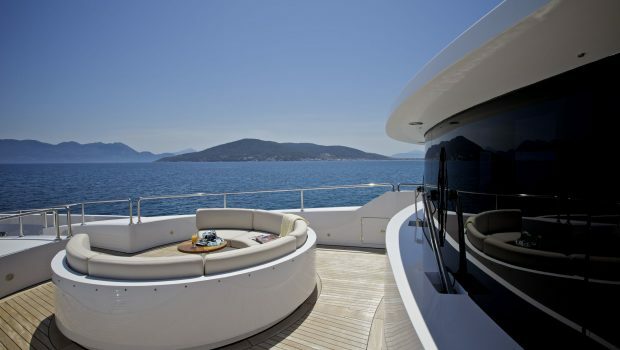 O’NEIRO (‘Dream’ in Greek) is 175 feet of supreme luxury cruising at 18 knots. 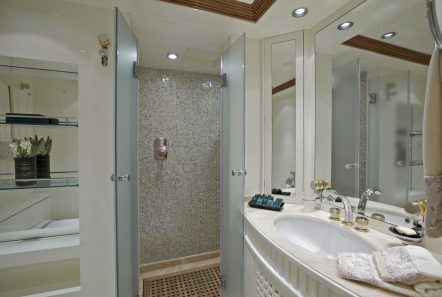 She accommodates up to 14 passengers in seven luxurious staterooms: the Master stateroom and one Twin stateroom on the Main Deck which can be transformed into a private suite, the VIP stateroom on located on the Upper Deck, two double staterooms and two additionally twin cabins on the Lower Deck. 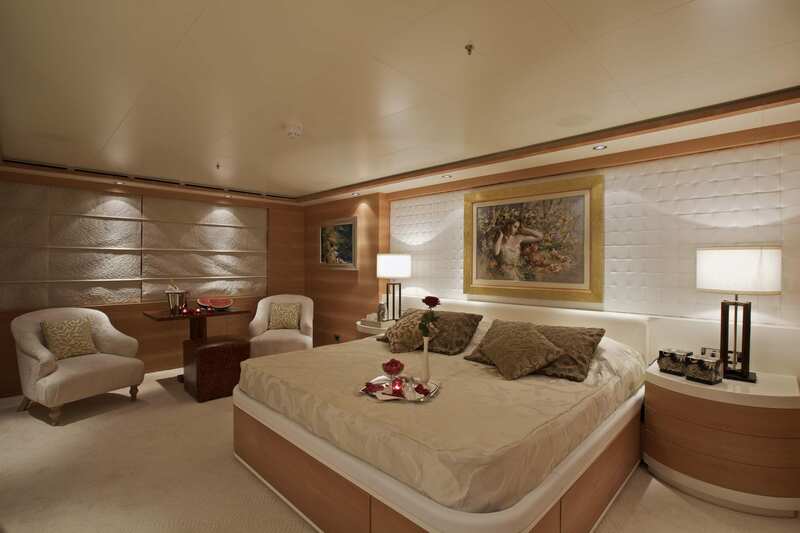 All staterooms are equipped with full entertainment systems, deluxe baths en-suite, and most with walk in closets and seating areas. 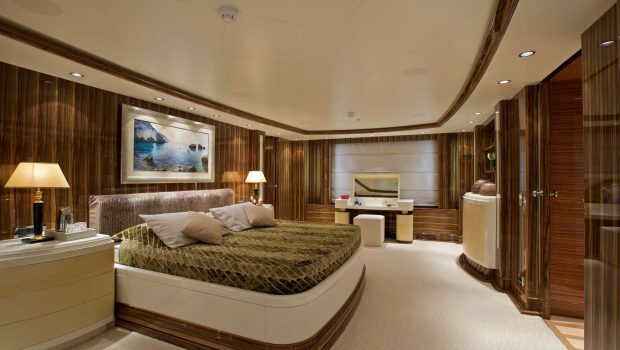 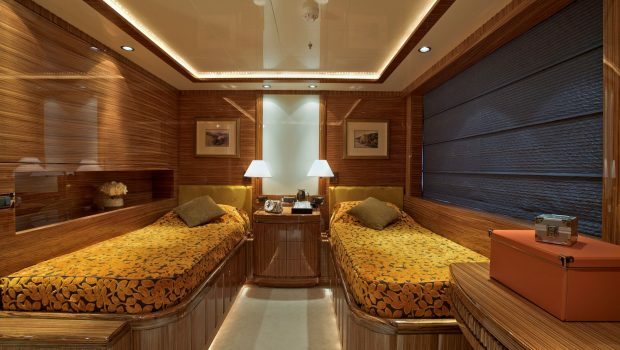 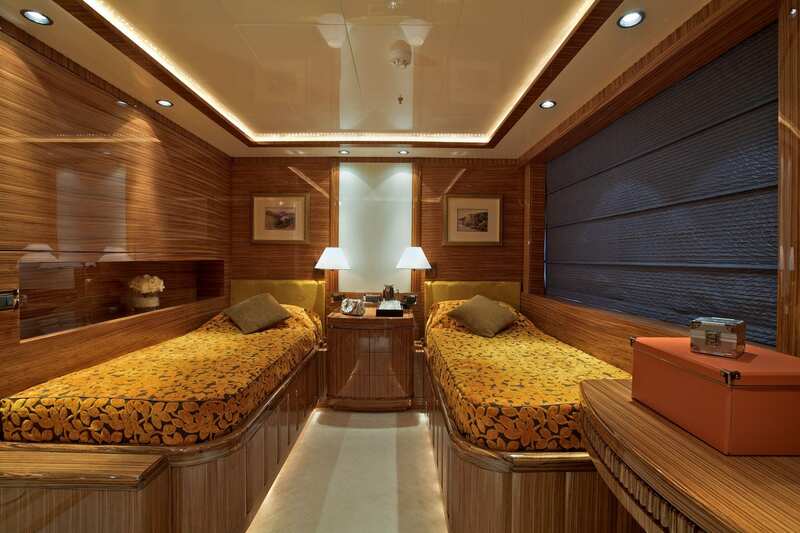 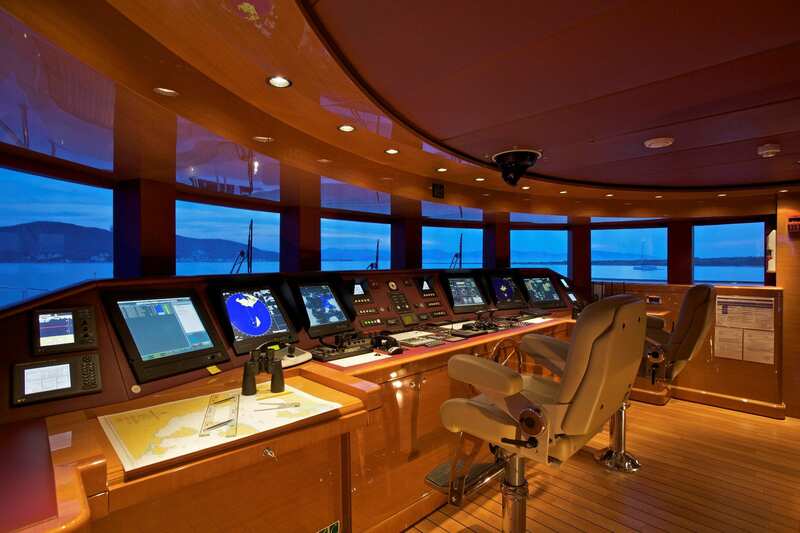 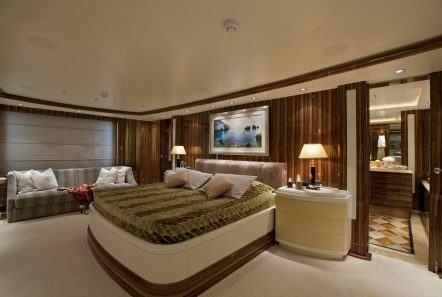 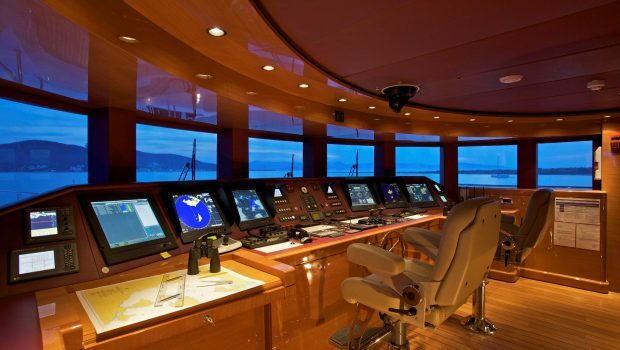 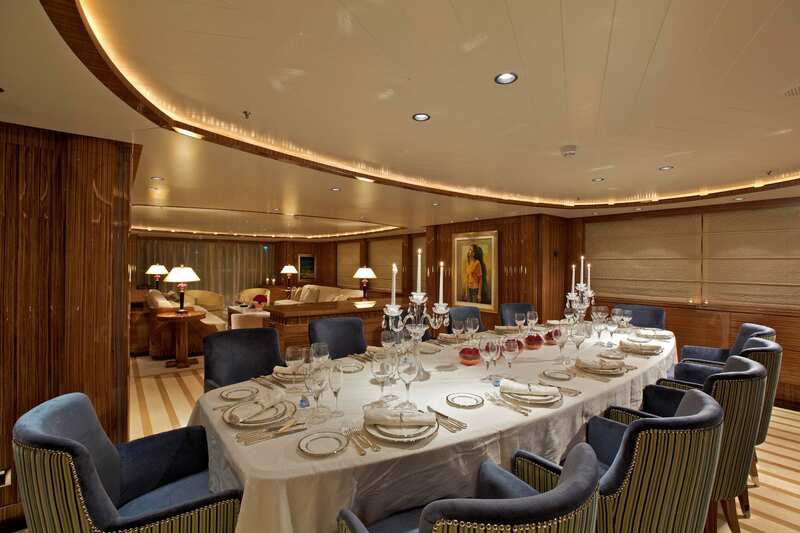 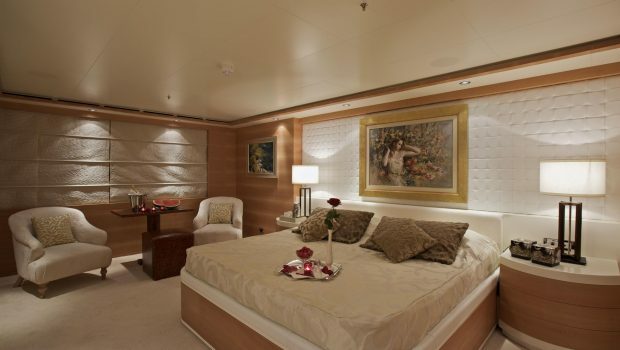 Guests have a choice of two main saloons to relax in, one on the Main Deck and one on the Upper Deck. 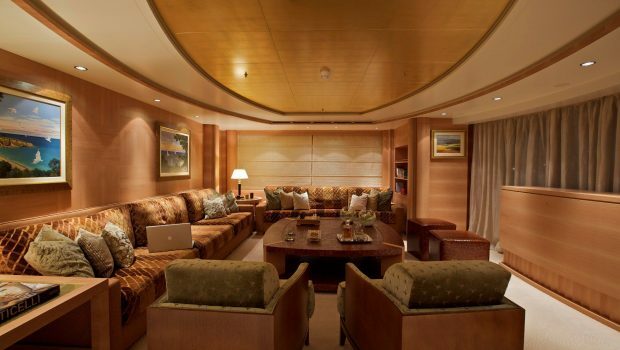 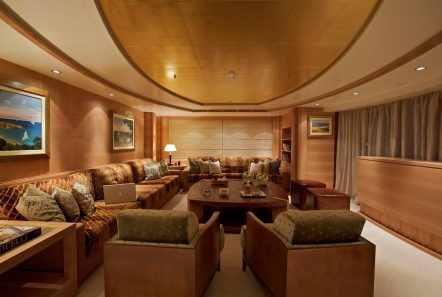 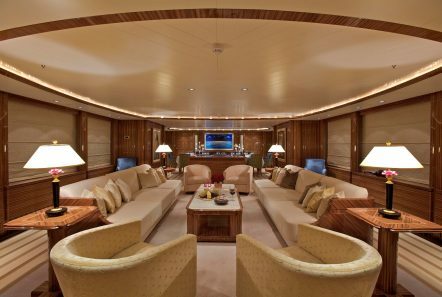 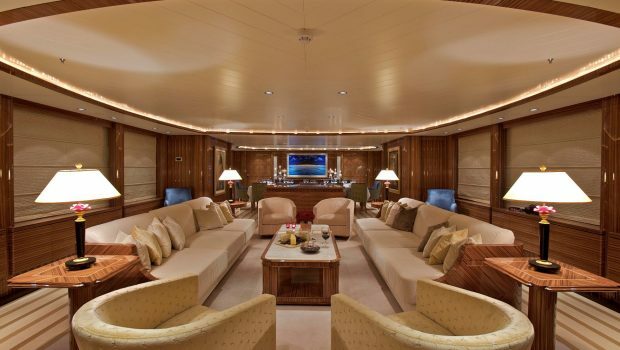 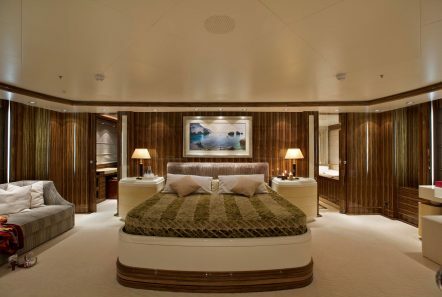 The extravagant salon on the Main Deck instantly captivates her guests, with her firm oak and maple floors and elegant rug accompanying her exquisite furniture all surrounded by zebrano wood and wonderful windows giving ample light while the upper salon creates a more intimate and cozy environment. 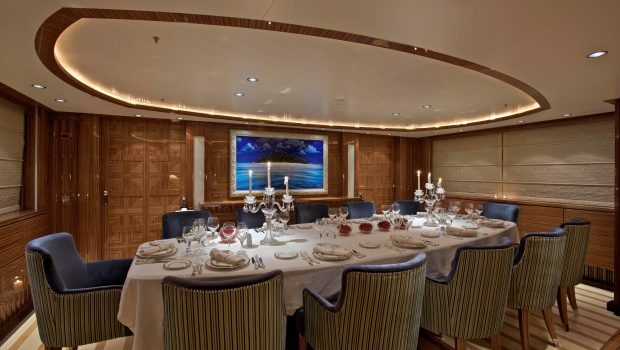 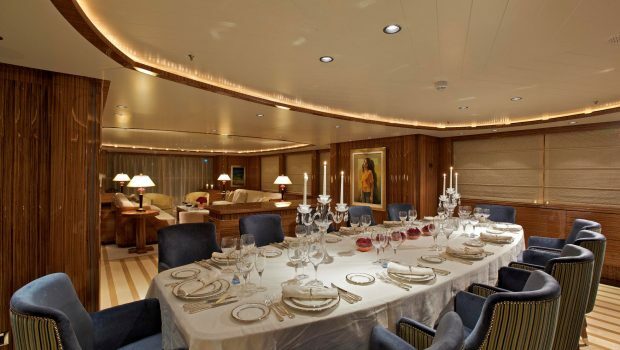 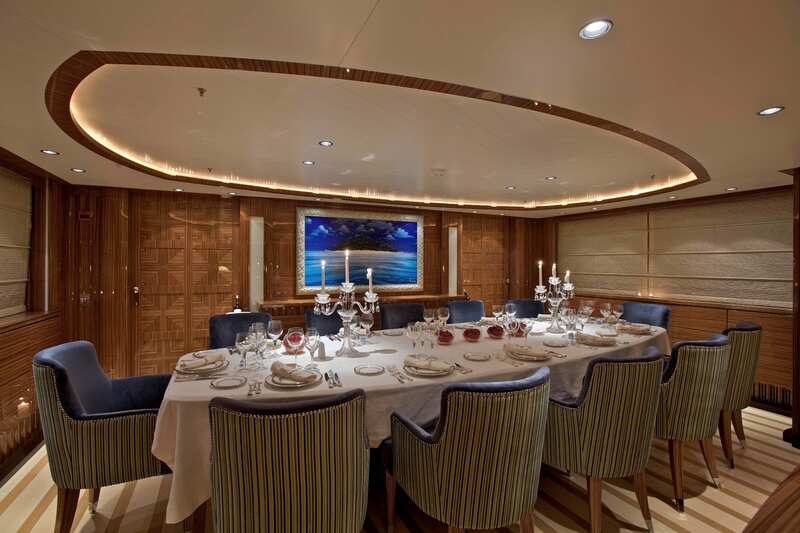 Directly behind the main salon is the lavish dining area, seating all guests, who will savor the delicious gourmet dishes prepared by the distinguished Chef onboard. 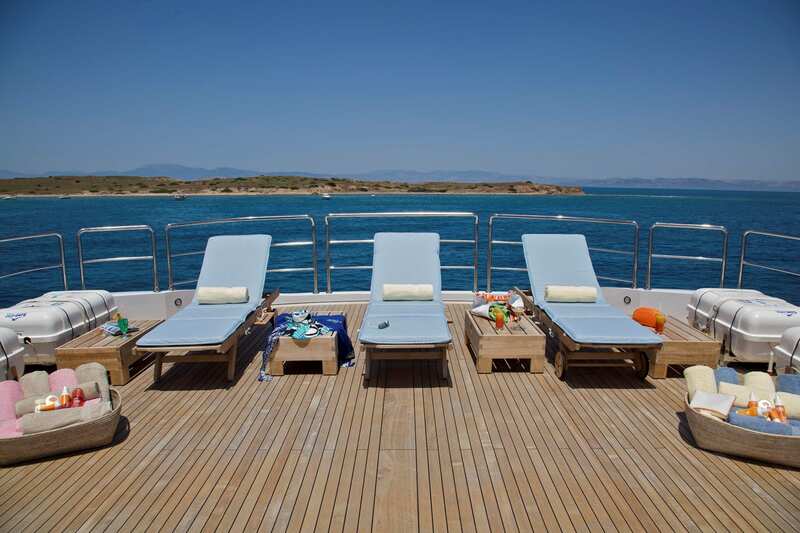 There are numerous outdoor areas for guests to enjoy on board. 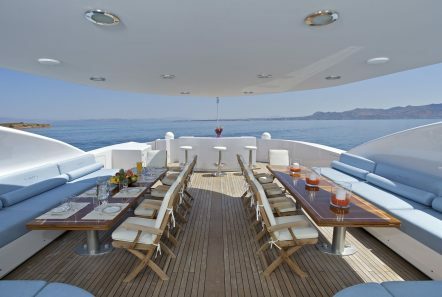 From the lavish 130 square meter Sundeck with ample sun beds, a Jacuzzi, barbeque and 2 sets of tables and chairs for dining under the stars to the aft seating areas on both the Main Deck and Upper Deck to the half moon seating area and table in front of the bridge. 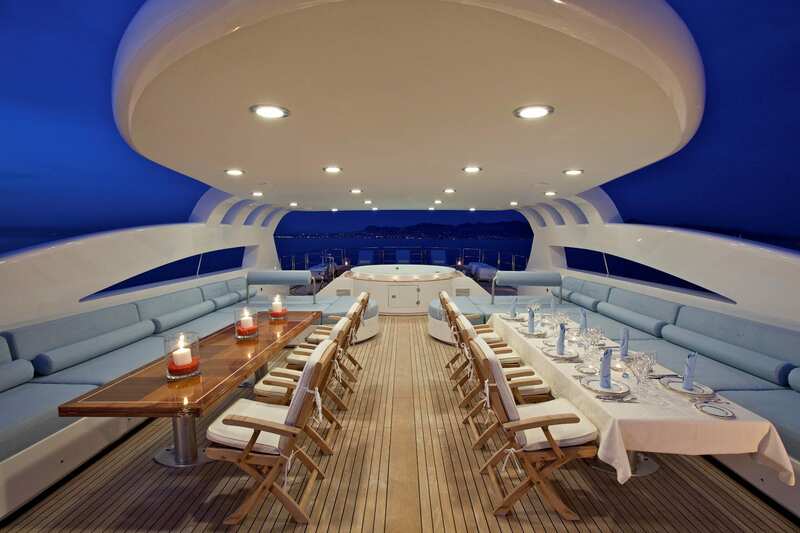 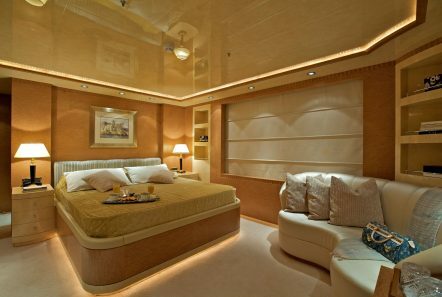 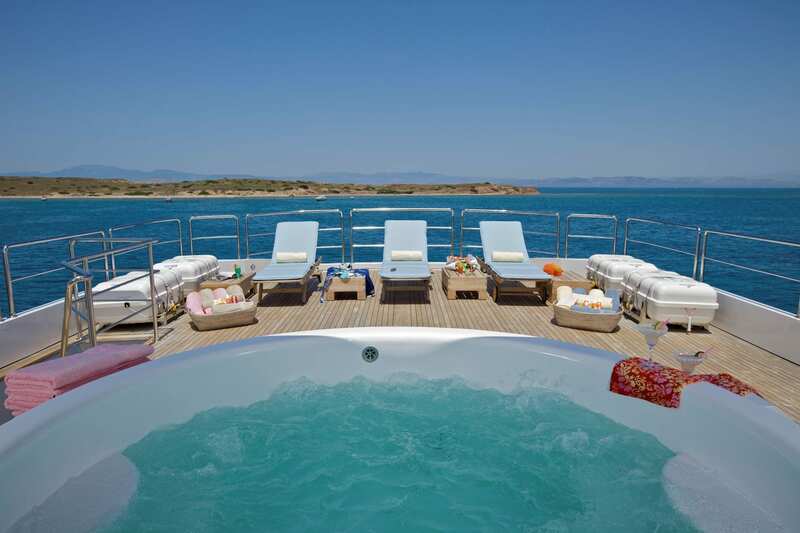 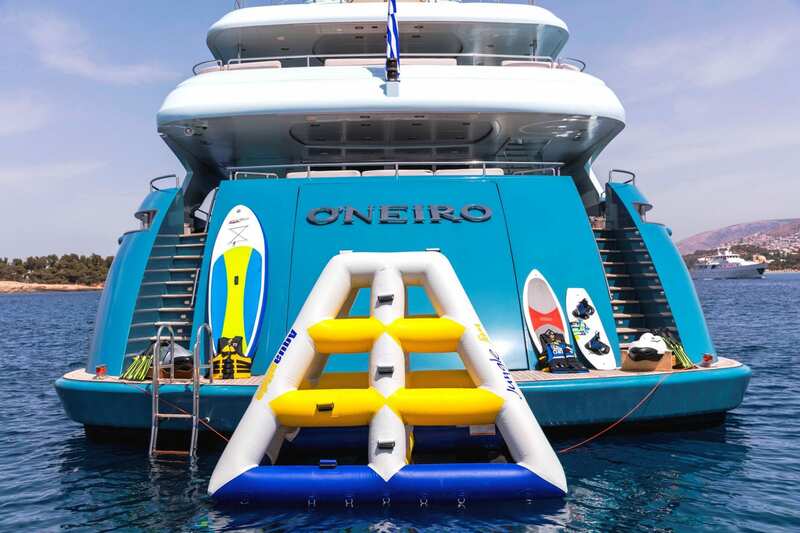 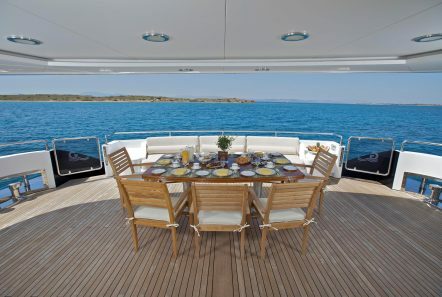 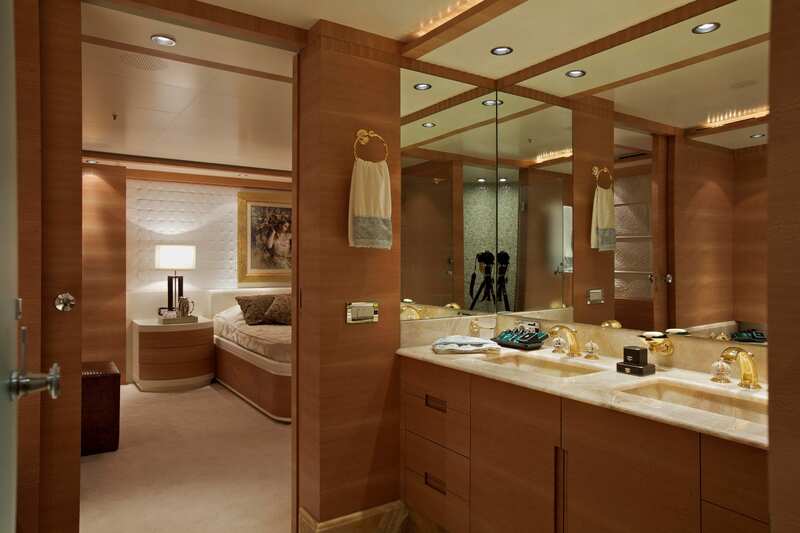 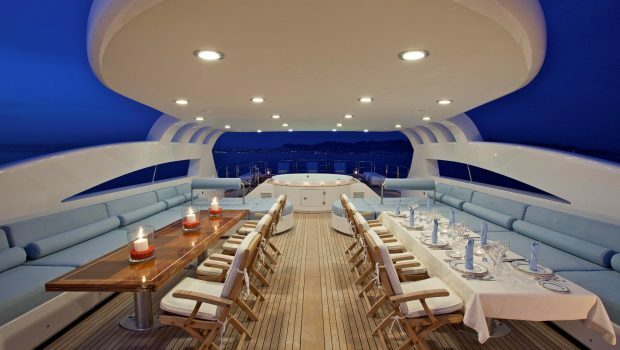 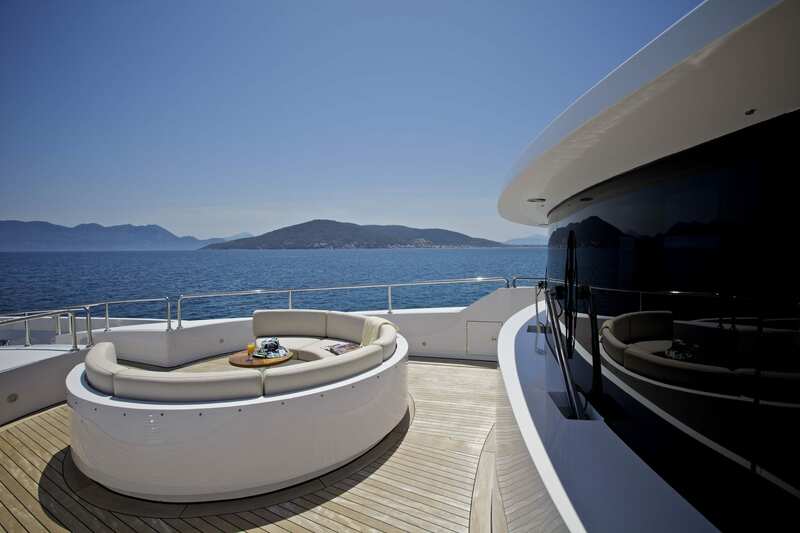 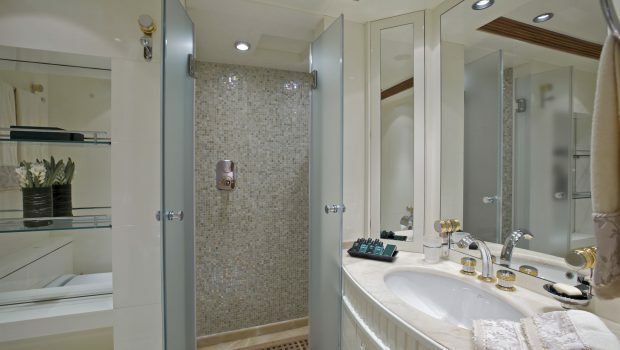 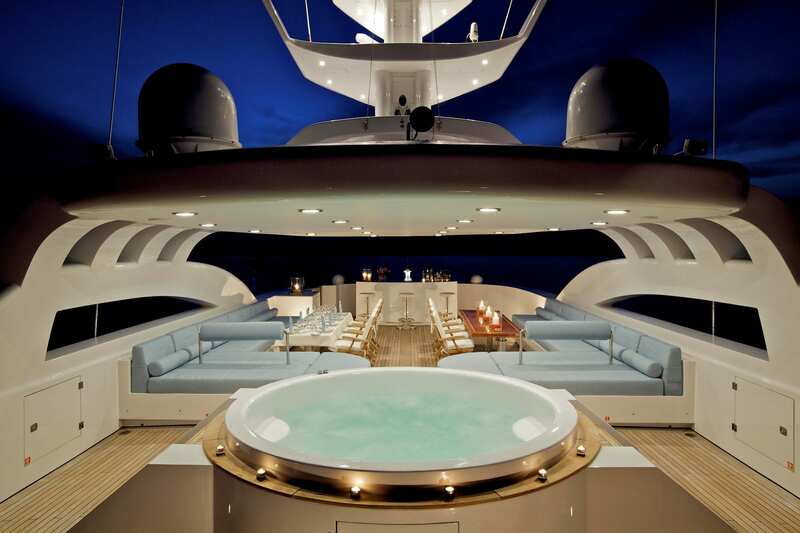 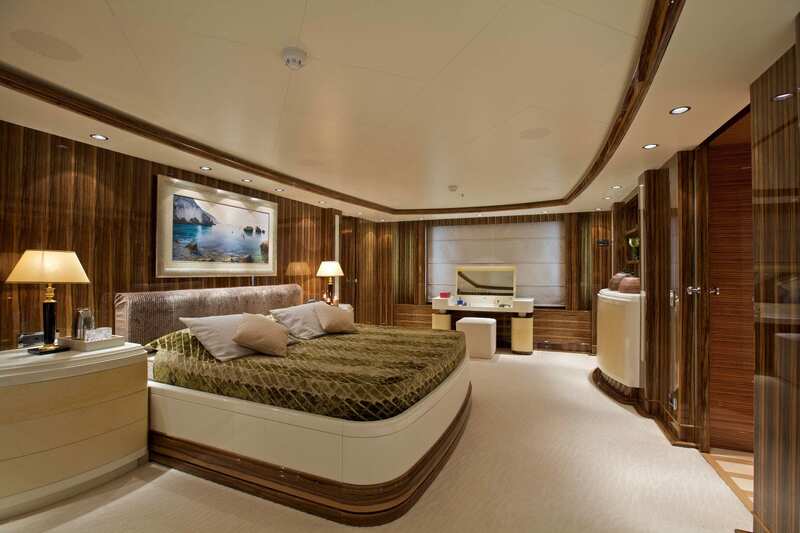 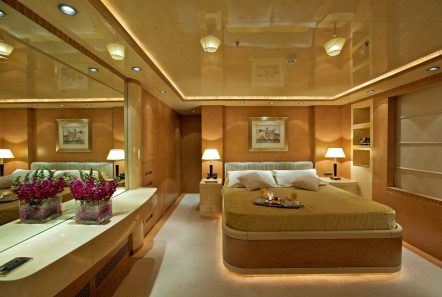 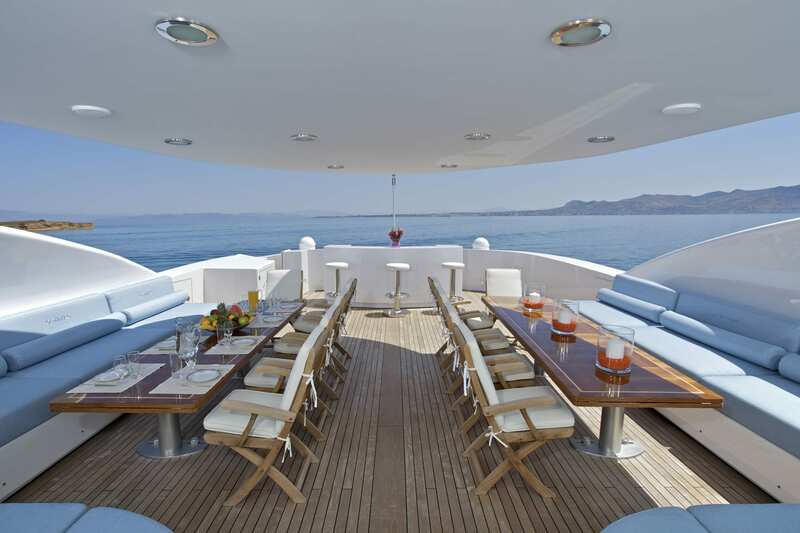 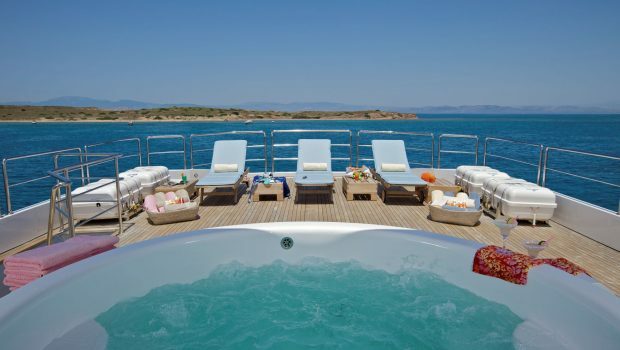 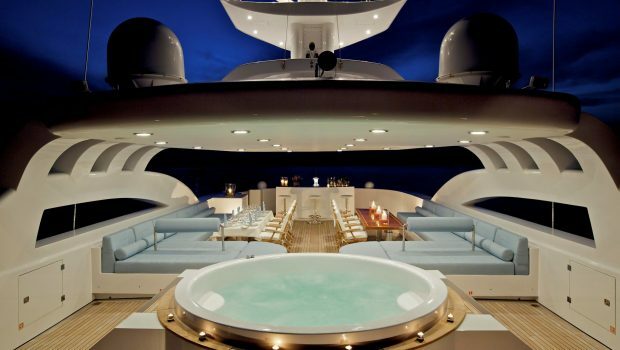 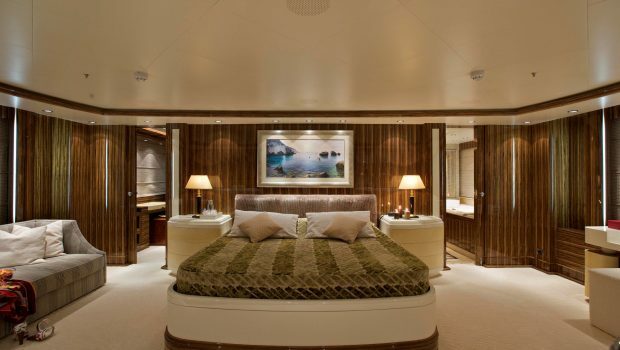 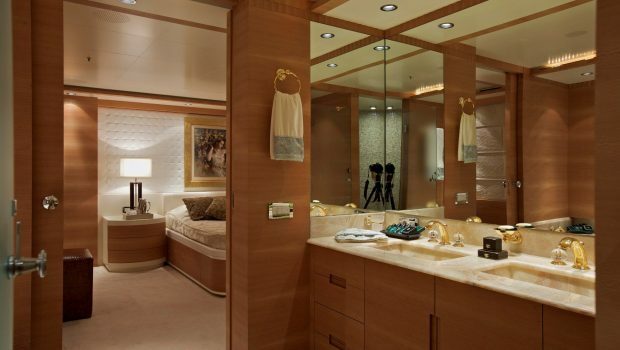 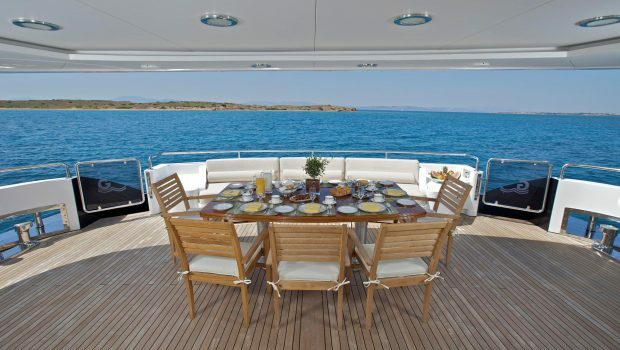 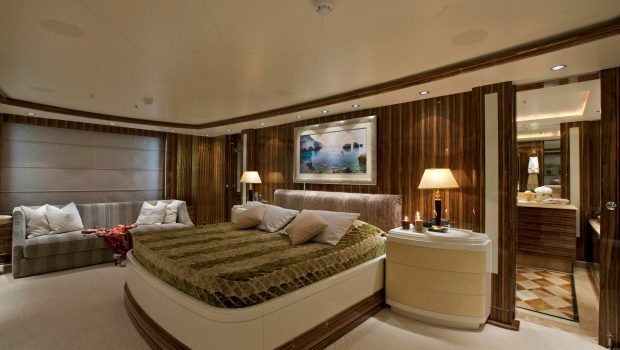 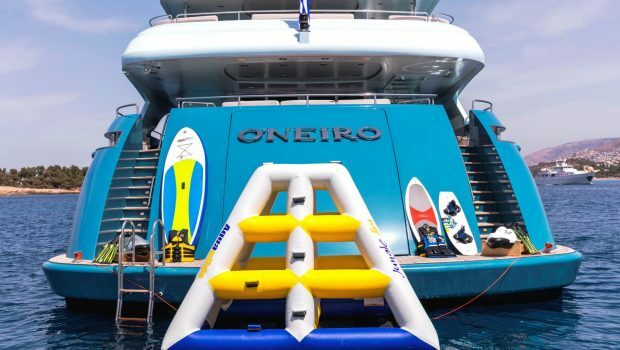 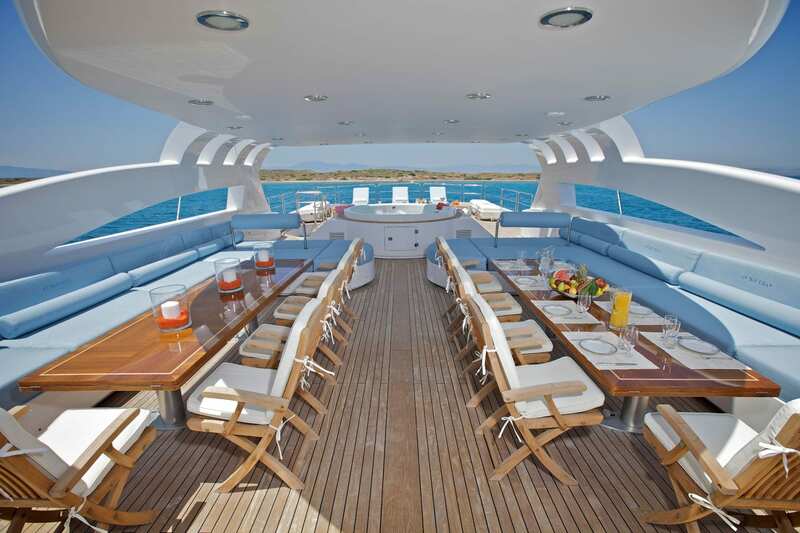 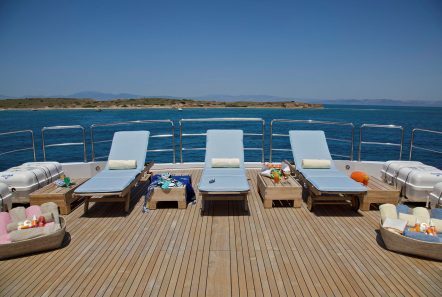 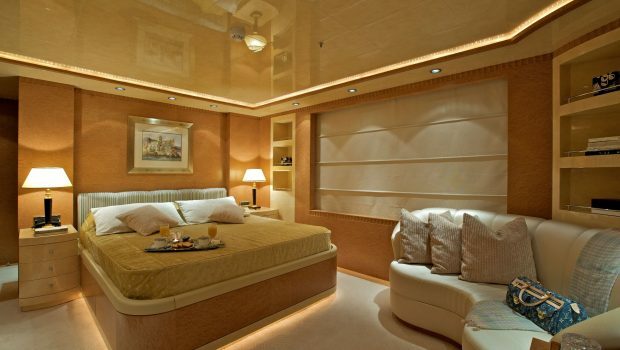 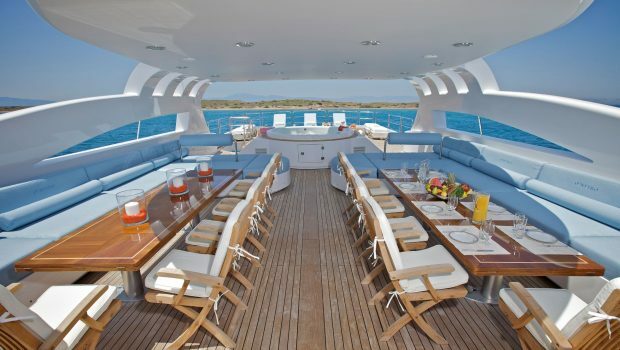 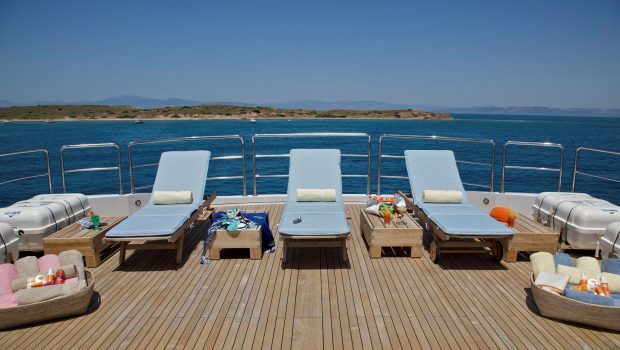 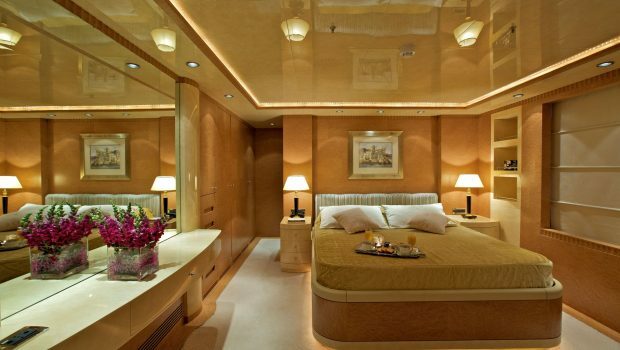 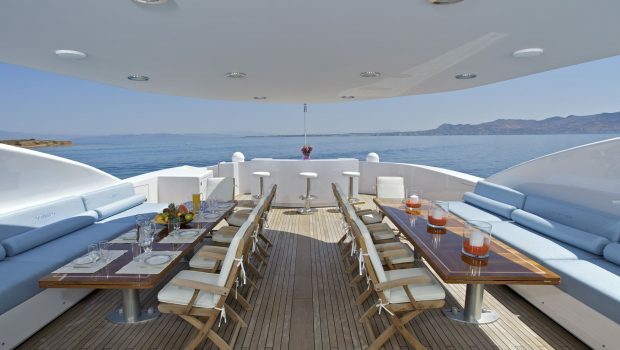 Guests are sure to be pampered in ultimate luxury while cruising onboard the fantastic O’NEIRO.